Oklahoma State University Jazz Studies, directed by Dr. Tommy Poole, has released their first big band CD SOLID GOLD featuring Michael's trombone playing as a guest soloist and his original compositions. It has received great reviews, and can be purchased here. Dease selected for several recent honors. Michael is honored to have received the 2017 Hot House Magazine Award for Fans Choice Jazz Trombonist in NYC. In 2018, Michael received special recognition (his third) for his participation on Christian McBride's Big Band recording BRINGIN' IT winning the 2018 GRAMMY for Best Large Jazz Ensemble. Michael also received the 2018 MSU Teacher - Scholar Award for outstanding instruction and research as Associate Professor of Jazz Trombone. 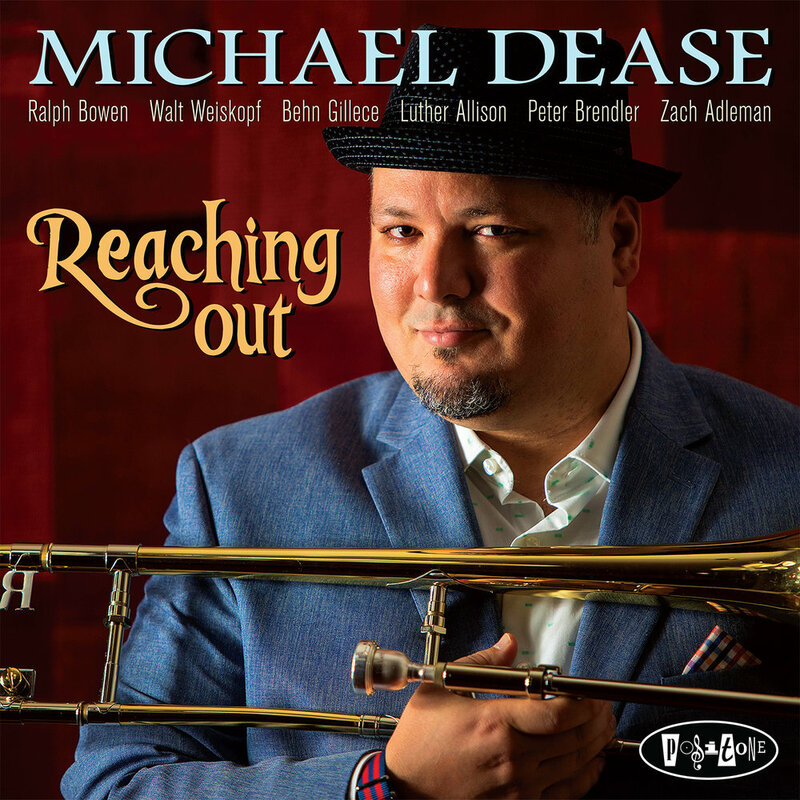 Michael's 5th studio album for Posi-Tone Records, REACHING OUT is available for purchase. A mix of hard swinging, in the pocket grooves with saxophone masters Walt Weiskopf and Ralph Bowen, assisted by leading talents of the next generation Luther Allison, Peter Brendler and Zach Adleman. Featuring guest vibraphonist Behn Gillece and tributes to several of Michael's influences: Cedar Walton, Kenny Drew, Steve Turre, Conrad Herwig, Boyz II Men, 90's alt rock, Malcolm Gladwell, Sir Paul McCartney and New York City. Michael appears on vibraphonist Behn Gillece's new recording, "Walk of Fire" on Posi-Tone Records. Check it out today here! Michael Dease releases 7th studio album, Decisions, on Posi-Tone Records! To learn more about this recording, click here. Michael is excited to have recorded another CD for Posi-Tone Records in early October featuring a (mostly) new band of young musicians (*Glenn Zaleski returns*). Look for it to release in Spring 2016. Michael Dease releases 8th studio album, Father Figure, on Posi-Tone Records! To learn more about this recording, click here.